To be honest, I have no idea why this happened. Behold, Gentle Readers, at one of the surprises I captured out of the window of my flat. Really, stranger things have happened, but I have found that this city still surprises me. Sure, the occasional bang of fireworks occurs on weekends, but there was no holiday or festival. 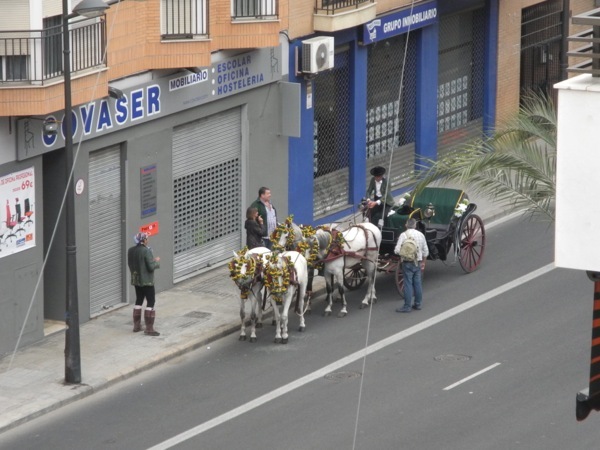 Just a day to see a full carriage, horses and men dressed in traditional costumes, and something different.